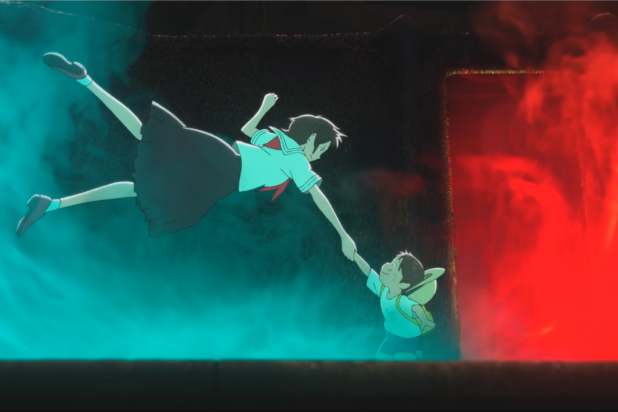 Fantasy is Japanese filmmaker Mamoru Hosoda’s preferred language for exploring family dynamics — and more acutely, parenting — within ever-surprising, imaginative, and richly stylized animated fables. 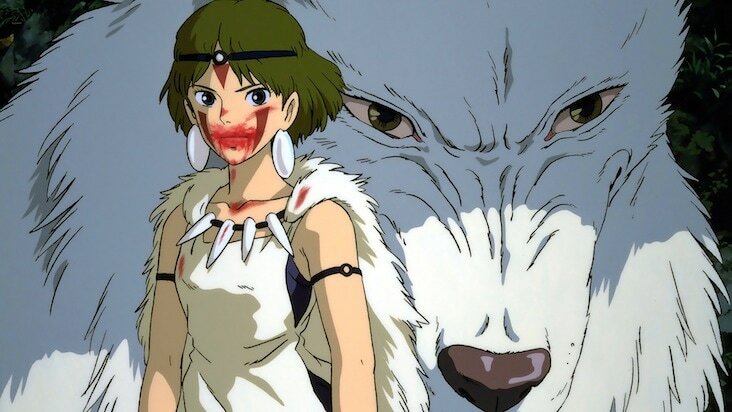 Across his first four features as an auteur (not counting the “Digimon” and “One Piece” movies based on anime series), the adroit animator-turned-director has harnessed time travel, anthropomorphic wolves, digitized warfare, and beast-like role models to speak about the bonds and absences that sculpt our worldviews, either by bloodline or through personal agency. Breathing rare emotional truth into on-screen depictions of small children and the parents who raise them, Hosoda’s unassumingly sumptuous “Mirai” is a hand-drawn miracle, rivaling Pixar and Ghibli’s efforts to devise family entertainment with a complex and humanistic edge. No unwavering valiant heroes or paragons of virtue here, just everyday folks trying to make it to the end of the day without a household catastrophe. Conceived by Studio Chizu — the filmmaker’s own animation house, which stands tall as the world’s smallest studio — “Mirai” drops in on Kun (voiced in English by Jaden Waldman), an adorable, and at times unbearably feisty, four-year-old as he waits for the arrival of his newborn sister from the hospital. At his age, Kun’s obsession is playing with toy versions of cargo and bullet trains (which are, of course, sprawled around the family’s modern home) or running around with his best canine pal Yukko. Sensing his reign as the sole prince of the castle is at risk when baby sibling Mirai — Japanese for “future” — enters the picture, jealousy brews inside Kun, urging the boy to act out to regain his parents’ now more coveted attention. Unequipped to handle this newly surfaced brattiness, Mom (Rebecca Hall) and Dad (John Cho) scramble to prevent Kun’s negative emotions from evolving into physical aggression, while simultaneously withstanding exhaustion, work-related stress, and marital disputes. Tantrums are never played merely for laughs in “Mirai,” but more so to illustrate frustration in its most untamed, unflattering and unedited form. Kun may be outwardly crying, kicking, and screaming, but his parents are undergoing their own major life adjustment that’s testing them, even if they refrain from fully expressing their discomfort. What provides a meaningful perspective, since the film is far from being a social realist drama, are the aforementioned fantastic components natural to Hosoda’s realms. In Kun’s backyard, his safe harbor, magic takes the form of chronology-defying adventures that allow the boy to interact with his dog in human form and, more importantly, with teenage Mirai. The older brother remains a toddler while the infant girl appears as a much wiser and more composed high-schooler. A handful of passages through memory and crucial instances in their family history teach both Kun and Mirai that it’s in their mutual best interest to recognize that adults — which they will one day be — are just as prone to disappointment and suffering, and just as deserving of unconditional compassion. What could be more effective to communicate that message than getting to hang out with your mother when she was your age, having a thrilling afternoon with your great-grandpa, or leaning that your father had as much trouble conquering fear as you do? Hosoda’s handcrafted character design infuses life-like qualities to an array of mostly human characters, forging heartfelt performances out of lines, color, movement, and voices that don’t mimic reality as much as enhance it for narrative potency. The director and his team make a point of giving Kun an oversized head and a wobbly walk to more accurately resemble how a child of his stature interacts with the grownup-sized environment around him. Other characters, like a certain gatekeeper during a dazzling train station sequence, are accessorized with tangible cutouts for vivid effect. Exquisitely saturated backgrounds hand-painted in oils give the entire picture an artisanal beauty, revealing the level of delicate care behind this production. There are no mass-produced elements in this loving creation, and no cynical motivations or facetious humor either; that’s not to say that comedy isn’t continuously poking its head into the story, but it’s executed as an organic part of the very quotidian situations that Hosoda skillfully turns whimsical. This feels like 2018’s most emotionally resonant animated release: Hosoda’s stirring take on memory and the collection of affection-driven choices that make us who we are merit comparison to works of similar relevance and poetic ambitions, like Hirokazu Kore-eda’s “Shoplifters” and Alfonso Cuarón’s “Roma,” masterworks that share its inquiries about familial ties, parental insecurities, and the inescapable pull of the past. Not unlike those foreign-language portraits of people who love each other dearly, Hosoda’s intimately warm hug of a movie also has the power to move us to tears.